Thursday, August 22, 2013 ratings — New Episodes: Wipeout, Motive, Rookie Blue, Big Brother, and Hollywood Game Night. Reruns: Glee, New Girl, The Mindy Project, The Vampire Diaries, America’s Next Top Model, The Big Bang Theory, Two and a Half Men, Elementary, Hollywood Game Night, and America’s Got Talent. 8pm – Wipeout: 1.3 in the demo with 4.47 million. 9pm – Motive: 1.1 in the demo with 5.03 million. 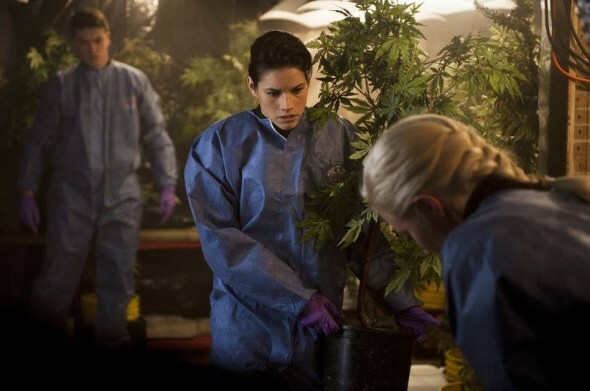 10pm – Rookie Blue: 1.1 in the demo with 5.26 million. 8pm – The Big Bang Theory: (rerun) 2.1 in the demo with 7.95 million. 8:30pm – Two and a Half Men: (rerun) 2.0 in the demo with 7.41 million. 9pm – Big Brother: 2.3 in the demo with 6.83 million. 10pm – Elementary: (rerun) 0.8 in the demo with 4.08 million. 8pm – The Vampire Diaries: (rerun) 0.3 in the demo with 0.93 million. 9pm – America’s Next Top Model: (rerun) 0.3 in the demo with 0.82 million. 8pm – Glee: (rerun) 0.7 in the demo with 1.93 million. 9pm – New Girl: (rerun) 0.7 in the demo with 1.68 million. 9:30pm – The Mindy Project: (rerun) 0.6 in the demo with 1.65 million. 8pm – America’s Got Talent: (rerun) 0.9 in the demo with 3.61 million. 9pm – Hollywood Game Night: (rerun) 1.0 in the demo with 3.45 million. 10pm – Hollywood Game Night: 1.3 in the demo with 3.95 million.